April 13, 2019: Our thoughts and prayers go out to member Vince Gabrunas and his family on the recent passinf of his mother. Additional thought and prayers go out to members Bob and Jan Gale, while Jan is in the hospital. March 29, 2019: My, my, warm weather brings out the checkbooks! Aother member welcomes a new ride to the driveway - congrats to Sam Moore and his 2014 Torch Red Stingray convertible! March 17, 2018: Congratulations to several members who wlecome new cars to the stable! 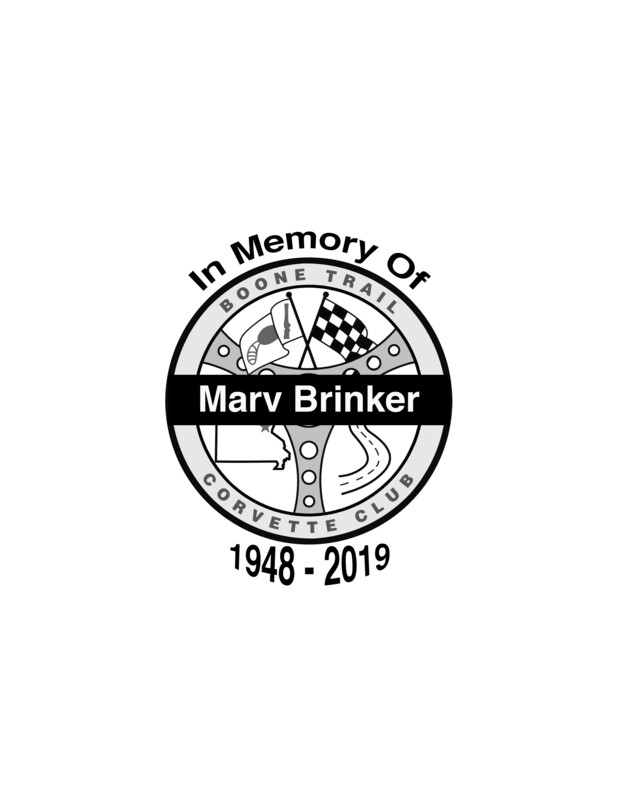 January 2, 2019: Our sympathies go out to Karen Brinker and her family on the passing of her husband Marv Brinker. Marv was an active member of BTCC for many years, and will be greatly missed. Visitation is Friday January 4 at Church of St. Cletus at 9:00 am with the funeral service following at 10:00 am. The church is located at 2705 Zumbehl Road in St. Charles MO. Group parking will be arranged for club members who bring their Corvettes. Lunch will be available at the church hall following the services. November 9, 2018: Late news is better than no news - as it turns out, member Jerry Bizzell won an award at this year's, MidAmerica Motorworks Funfest! Click the thumbnail below to see Jerry receive his award from Mike Yeager and Celebrity Judge! September 20, 2018: Our sympathies go out to the family of Ron Krato, who passed away today. Ron, and his wife Cheryl, were long-time members of BTCC, both very active and past officers until health issues arose. We will miss their sharp wit and friendship greatly. March 11, 2018: Congratulations to Dave & Gail Greeley, who welcome a 2017 Black Rose Stingray to the family! October 7, 2017: We have a couple of members picking up roots and moving to Arizona! Mark and Donna, may you have safe travels and a great time in your new home! And we hope to see you here again sometime! August 30, 2017: Our thoughts go out to everyone affected by the flooding in southeast Texas and southwest Louisiana. Several members have family and friends living and working in the region - may you all find safety and shelter. August 20, 2017: My, my have we grown! A warm welcome to the many new members who have joined our fun group over the past few weeks! We are now at over 120 members, and still growing! Thank you everyone for making this such a fun and successful club! Also congratulations go out to several members for their wins at numerous regional Corvette shows! And more congratulations to the several members who have picked up new Corvettes! We hope to see those new cars at our many events! Our thoughts and prayers go out to Curt & Nancy Baker, who are experiencing health issues, as well as Susan Williams, who will undergo knee surgery this week. June 1, 2017: More winners! We had 13 club cars compete in the Route 66 CC Corvette show, and 9 brought home trophies! Congratulations to all of you! April 12, 2017: And we have some winners! Several member took trophies home from the recent Mid Missouri Corvette Cup in Columbia: Steve & Debbie Doak, 1st C7 Convertible; David & Patti hall, 3rd C6 Convertible and Bobby & Billie Meyer, 2nd C5 Coupe. Congratulations! Please keep David and Patti Hall in your thoughts on the recent passing of his sister. And a big welcome to our newest members: Jacob Peters, and Brent & Debi Robinson! March 24, 2017: Please keep member Amy Pape and her family in your thoughts on the recent passing of her father. March 12, 2017: Member Cheryl Krato recently was admitted to the hospital and anticipates surgery in the near future. Please keep her and husband Ron in your thoughts. Also, member Vince Gabrunas' mother was recently diagnosed with cancer. Please keep her and Vince in your thoughts as well as she begins treatments. February 13, 2017: Some more sad news: former member Francie Joice and founding member Ron Reinhardt both recently passed away. Additionally, member Barry Elam's parents were recently in a serious car accident. Please keep them and their families in your thoughts and prayers. January 13, 2017: BTCC is sad to report the loss of one of our own. Ray Bedwell passed away Jan. 12. Please keep his wife Kay and their family in your thoughts. December 4, 2015: And another 2017 is on the way! Here's a sneak-peak at the next to join BTCC. Can you guess whose it is? October 30, 2016: It's official - BTCC has it's first 2017 Grand Sport! The happy owners are none other than Steve & Debbie Doak! Congratulations on your Torch Red on 3LT black convertible! June 4, 2016: Congratulations to Steve Doak, who took 1st in Class at the Fast Lane Cars Car Show on Memorial Day! May 23, 2016: Don Wooten would like to thank everyone who sent cards, flowers and support with the passing of his wife Julie. It really helped him through the worst of it. March 22, 2016: Member Larry Smith's brother passed away early this morning. Please keep him and his family in your thoughts. Funeral services will be held in Springfield, MO. For those wishing send cards, etc., you may send them to: Leroy Smith, 150 Persimmon Road, Ozark, MO 65721. March 15, 2016: Visitation for Julie Wooten will be this Friday, March 18, at Baue Funeral Home in St. Peters, from 4:00 p.m. to 8:00 p.m. Graveside services will be Saturday the 19th, and those wishing to attend should be at Baue Funeral Home no later than 10:15 a.m.
March 14, 2016: it is with great sadness we report the passing of a fellow member this evening, Julie Wooten. Please keep her husband, Don, and their entire family in your thoughts. Funeral arrangements will be posted here as soon as they are available. 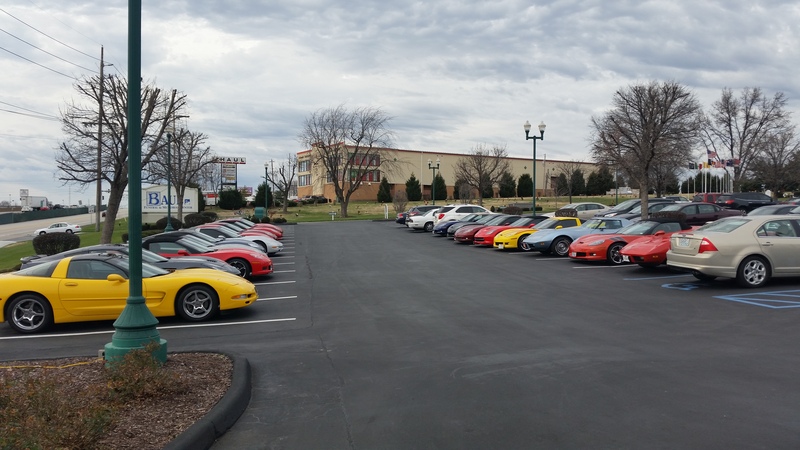 December 20, 2015: Members & friends paid tribute today to Jesse Bizzell by displaying 21 Corvettes and wearing Corvette clothing at his memorial service. Again, we all send our sympathies and fond memories to his family. December 16, 2015: A sad day for us all: our eldest member, Jesse Bizzell passed away today. Please keep member Jerry Bizzell (Jesse's son) and their family in your prayers. Jesse was well-loved and respected, and will be missed. BTCC will keep everyone informed once visitation and funeral arrangements are made. December 8, 2015: Our thoughts and prayers go out to member Jesse Bizzell, who is in the hospital with serious illness, and his family. They also go out to Ron Krato, Marv Brinker, Ron Reinhardt, Don Forden and Nancy Gowin, and Larry & Mary Smith (and their families) who are all experiencing health issues of various sorts. Congratulations to Kay Bedwell, who has added a 2012 Crystal Red Grand Sport coupe to the garage! October 13, 2015: Congratulations to the Rosenthals on delivery of their 2014 Long Beach red Z06 Coupe! We also extend a warm welcome to our several newest members: Don & Sharon Ruble with their 2008 Torch Red Convertible, Dennis & Ima Ferdig with their 2000 Torch Red Coupe and our youngest member ever, Jacob Hoffmann and his 2004 Torch Red Coupe! September 16, 2015: BTCC welcomes our latest new members, Eric & Susan Rosenthal. 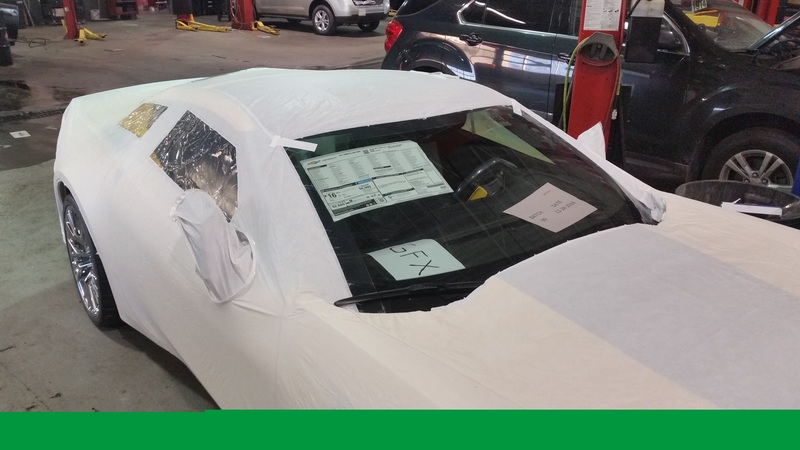 They currently have a 2013 427 Convertible, but have a 2016 Z06 due any day now. Thank you for joining! September 1, 2015: Several BTCC members have been experiencing health issues in recent days, including Don Forden, Nancy Gowin, Larry & Mary Smith, Jesse Bizzell and Marty Hodits. We all extend our support, thoughts and prayers to all of them for quick recoveries. August 24, 2015: BTCC extends a warm welcome to our newest members: Gary Mirka and his 2006 Coupe, and Nick & Chris Flesor with their 2004 coupe. We're happy you've joined in the fun! Also, on August 15 two members took awards at the Vettes on the Plains Corvette show: David Hall took 3rd Place in the Late Model C6 class, and Melissa Dean took 2nd Place in the same class. Congratulations! August 3, 2015: This weekend's Corvette show put on by Mark Twain Corvette Club in Hannibal saw two winners from BTCC! Congratulations to Steve Doak who collected First in Class for C7 Convertibles, and Eric Holt who won first in Class for C4, and took the big one, Best of Show! Quite an accomplishment with 170 Corvettes competing. Good job, guys! March 30, 2015: A busy weekend for car show fans! 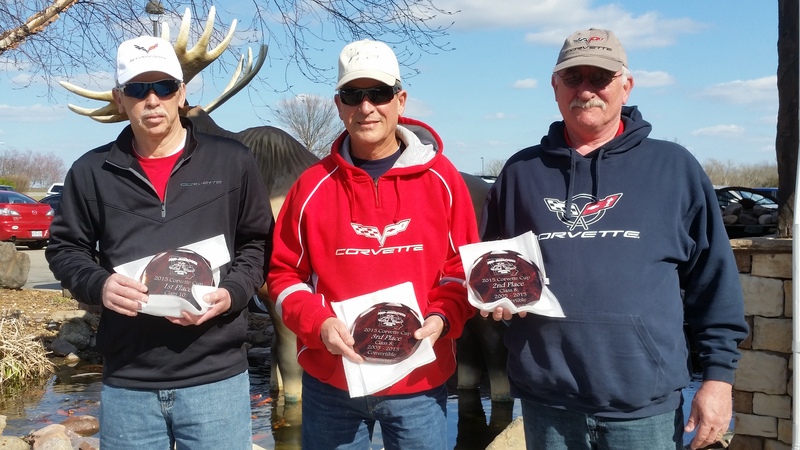 Members Steve Doak, Terry Dean and David Hall all won trophies at the Corvette Cup event in Columbia, MO. Congratulations! 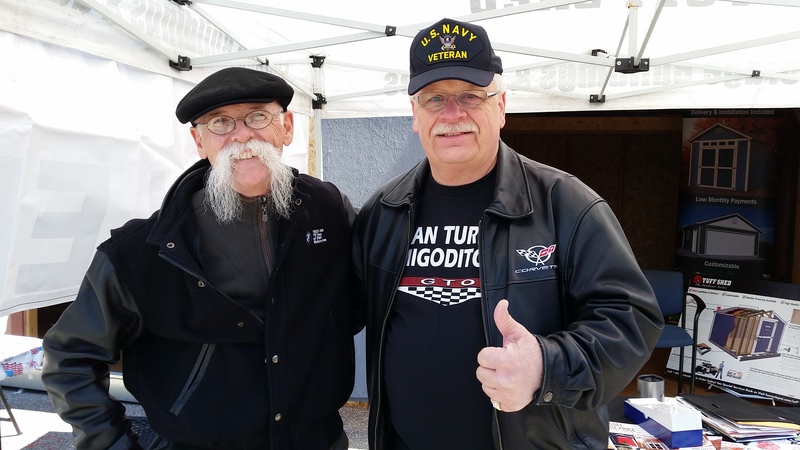 Member Darrell Carnel had a chance meeting with none other than Dennis Gage of "My Classic Car" TV fame while in Evansville. Cool! March 1, 2015: Welcome to our newest members, Dave & Mary Sander! They bring their 2006 Convertible with them. February 16, 2015: We offer our sympathies to Vince Gabrunas, whose father recently passed away. February 2, 2015: We wish member Jesse Bizzell well while fighting a lingering illness, and hope he improves soon! We offer our sympathy to Connie and Marty Hodits in the passing of Connie's father. January 10, 2015: We welcome our first new member of the year, Ron "Jay" Leadford and his 2015 Night Race blue Z51 coupe! We also wish member Ron Krato a speedy recovery from surgery this past week and a positive result! October 22, 2014: After 2 months in the body shop, Vince Gabrunas's '74 coupe returns from the body shop this coming Friday! With a little final reassembly, it should soon be back on the road. September 22, 2014: Welcome to another new member: Sam Moore and his 2004 Convertible! We're happy you chose to join us! September 14, 2014: Welcome to our newest members: Tom and Diane Wilkinson! They bring with them their first Corvette, a 2003 Electron Blue Convertible. 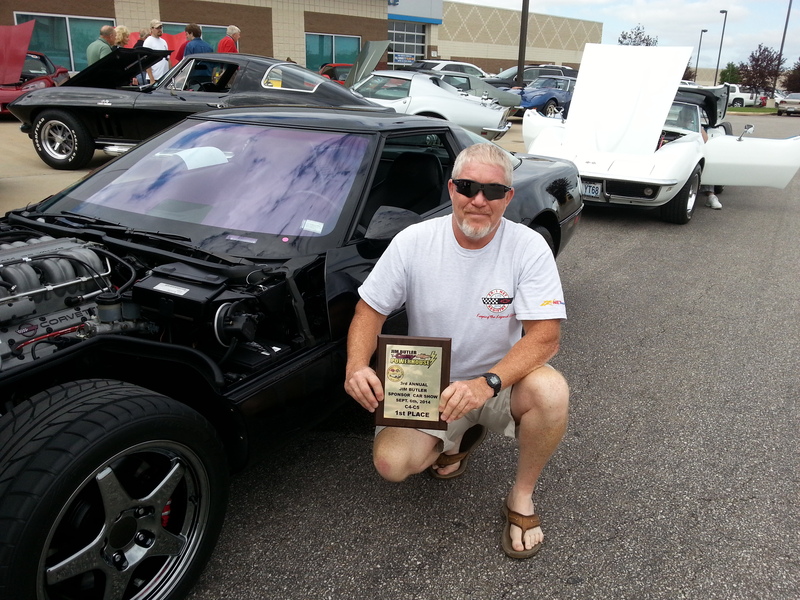 September 11, 2014: Congratulation to Eric Holt for a 1st Place win at this past weekend's OCC Corvette Show! His spotless C4 ZR1 well deserves it. August 30, 2014: We have another Stingray! Wayne & Joan Goodreau took delivery of a 2014 Stingray Z51 Crystal Red coupe this week. Congratulations! We look forward to seeing it soon at upcoming events. August 3, 2014: Several members attended the Mark Twain Corvette Club Corvette Show on Saturday the 2nd. Two came away with awards: Steve & Debbie Doak took Second Place in the C7 Convertible Category, and Eric Holt took First in C4 class as well as Best ZR1. Congratulations! 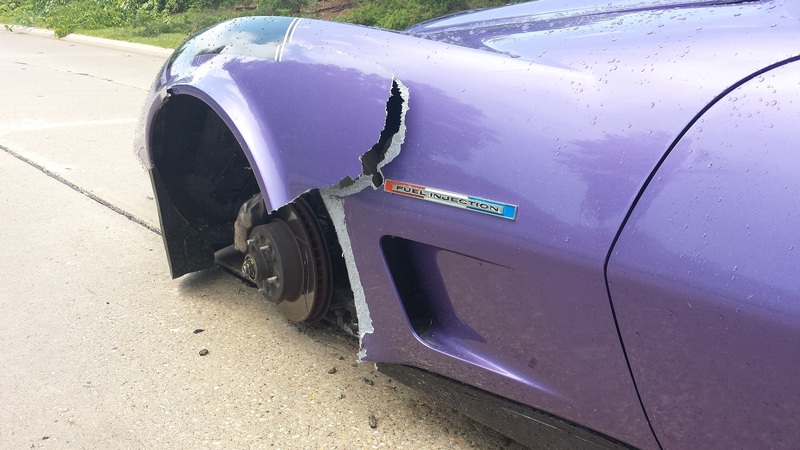 July 25, 2014: On July 14, member Vince Gabrunas and his 1974 coupe had a bad day: a wheel fell off the car while driving! Apparently the wheel's lug nuts had not been properly tightened during a safety inspection on the 11th. The wheel loss occurred less than 10 miles after the service work. To avoid damage such as the '74 experienced, it is strongly recommended to check lug nuts any time you have work done on any of your vehicles before leaving the shop. In this instance, thankfully no one else was involved, and there were no injuries, but it could easily have been a far more serious event. And yes, the '74 will be repaired and back on the road soon! July 6, 2014: Our Corvette family continues to grow! A big welcome to our newest members, Ken & Darlene Bergman with their Millennium Yellow 2002 Convertible, and John "Jack" Braznell with his Machine Silver 2010 Coupe! We're very happy you all joined - and we've now reached 100 members! In additional news, our 6th club C7 has been ordered - this one a 2015 Night Race Blue Coupe! For a hint to who the lucky members are, see Swap'n'Sell. June 17, 2013: And we keep growing! Welcome to our newest members, Brian Main and his 1978 Coupe, and Roger and Karen Hoard with their Arctic White 2014 Stingray Coupe! May 23, 2014: Our sympathies go out to Kay Bedwell, whose daughter just passed away unexpectedly. Pease keep her and her family in your thoughts. May 23, 2014: We have another new member: welcome to Jim Wellinghoff! He brings with him our 4th 2014 Stingray, a Cyber Gray Coupe. Thanks for joining us! In other news, Don Forden won First Place at the OCC Mile 277 Corvette Show on May 17th. Congratulations, Don! May 19, 2014: Rumor has member Vince Gabrunas's 2014 Stingray can be spotted in a post on www.corvetteblogger.com featuring vanity plates seen at the recent NCM Bash. May 10, 2014: Congratulations to Eric Holt, David Hall and Steve Doak! All three were runners-up at the Capital City Corvette Classic this weekend! April 23, 2013: More new members: a big welcome to Russell & Yvonne Place and their shiny new 2014 Night Race Blue Stingray Convertible! March 23, 2014: Welcome to new members, Jeff & Cindy Bemis! They just bought a 2008 Victory Red convertible, recently owned by the Halls. Who in turn now have a 2011 Torch Red Grand Sport convertible, formerly owned by the Doaks, in their garage. Who in turn now have a new 2014 Torch Red Z51 convertible in their garage! Congratulations everyone! March 20, 2014: And more new members: welcome to Don & Alessandra Aulbert and their 1998 convertible! We hope you have a lot of fun with us. Lots of big news today: Steve and Debbie Doak have a bouncing baby 2014 Torch Red convertible! Delivery was at a rather early 6:00am this morning. Congratulations! Photos will be coming soon. And members Bob & Susan Williams and Vince Gabrunas have their 15 seconds of fame, as their cars can now be seen in the June 2014 issue of VETTE magazine! They garnered a 1/2 page photo and caption in the Glass Menagerie section, on page 78. Let's see how many other members can get their cars in the magazine! March 3, 2014: Welcome to our newest members, Jim & Shirley Smith and their 2005 red convertible! We hope you enjoy our good times. Thanks for joining! More news on the next club Stingray: production is slated for the week of March 10! Steve & Debbie should be able to enjoy their new car by mid April. February 13, 2014: Congratulations are in order: Larry Smith and Mary Dexheimer announced they will be wed Saturday, February 15 while attending our annual Tan-Tar-A weekend! Member David Hall will perform the ceremony. Here's to many years of happiness together! On a different note, member Steve Doak received word his 2014 Stingray Convertible has officially been picked up for build! It should only be a few short weeks for his Stingray to be the second in the club, and the very first convertible. And finally, a big welcome to our newest members, Bob & Joanne Kinnison! They and their 2003 Torch Red Coupe will enjoy the usual good time and good company. Thanks for joining! January 26, 2014: Larry Smith & Mary Dexheimer announced their engagement at today's planning meeting. Congratulations! We take it we're all invited, right?. January 24, 2014: Our wishes for a speedy recovery go out to Jesse Bizzell, who broke his hip Tuesday. December 2, 2013: This past weekend Vince Gabrunas finally paid up in the wager made with friend and club guest Dan Danahay - one 6-pack of Amber Bock has exchanged hands! And two local Stingrays have finally met in person for some fun comparisons, Vince's Cyber Gray 2LT Z51 and Dan's Laguna Blue 3LT Z51. Click the thumbnails for a good look, as seen in Clayton on Saturday! November 16, 2013: Congratulations to all our new officers! They are: Wayne Goodreau, President; Melissa Dean, Vice President; David Hall, Treasurer; Debbie Doak, Secretary; and Ken Brinton, Governor. Congratulation, everyone! And a big welcome to our guests, Bill Winkler, and Marsha & Glenn Kendrick, who are visiting from Billings, Montana! While visiting St. Louis relatives, they decided to stop in and say hello! November 10, 2013: Rumor has a SECOND 2014 Stingray has been ordered by a club member! This is expected to be a Torch Red 3LT Black interior Z51 convertible. Congratulations, Steve & Debbie! Let's hope your wait for delivery isn't as long as Vince's was! Also, long-time member and racing aficionado Larry Walker is moving to sunny California. We wish Larry and Diana all the best. October 13, 2013: Welcome to new members Eric & Lisa Holt, and Barry Elam! We're happy you joined and hope to see you at many of our events! Congratulations to Vince Gabrunas for finally taking delivery of his 2014 Cyber Gray Stingray! His nephew Nathan, and a number of club members were on hand to partake in the event first-hand. Friends Scott & Heather also joined in! Many thanks to everyone at the NCM for such a great experience! Vince does owe friend and club guest Dan Danahay a 6-pack of Amber Bock in a good-natured wager as to who would get to sit in their new Stingray first - Dan won by a little over a week, but Vince was able to take delivery and drive his before Dan could! September 7, 2013: It's official - the first BTCC 2014 Stingray has been assembled! Vince's was born the morning of August 29, and is #196! Delivery coming soon! He and Melissa participated in the blindfold motocross. Melissa drove blindfolded as Terry navigated. After she took out multiple cones and ended up over a curb Terry realized she wasn't paying attention to his hand signals. See photo below, video coming soon! August 5, 2013: 4 out of 9 BTCC cars attending the Mark Twain Corvette Club show on the 3rd took home awards: Bob Williams, Bob Bass, Steve Doak and Vince Gabrunas. Congratulations! July 26, 2013: More new members: we welcome Barry Elam and his '88 coupe. Also, two new cars join the club through current members: Don Forden picked up a 2013 60th Anniversary Grand Sport Convertible, and Jerry Bizzell takes delivery of his 2013 60th Anniversary Z06 this week. Congratulations to both of you! July 7, 2013: Welcome to our newest members, Joe & Lori Cannito! 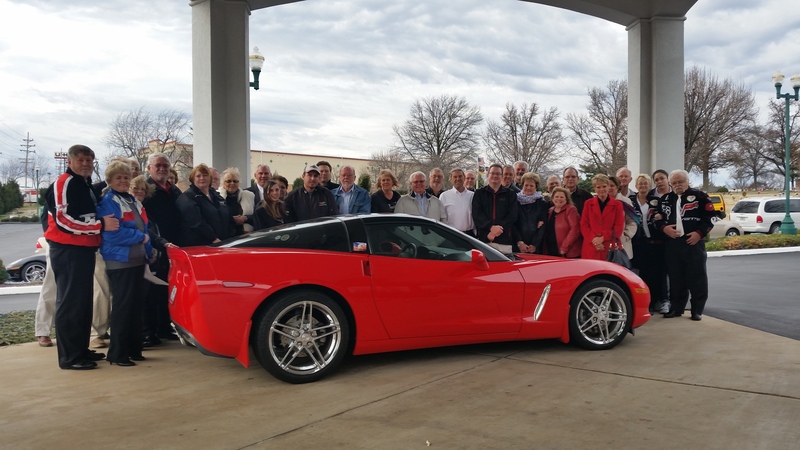 Thank you for joining Boone Trail Corvette Club! On a sad note, former member Sherri Adams recently passed away fighting cancer. We offer her husband, Tim, and all their family and friends our condolences. June 16, 2013: Congratulations to Larry Walker! He recently participated in the Pan-American Masters Swimming Championships in Sarasota, Florida, and won several medals. Good job! April 2, 2013: We're on a roll! Welcome to our most recent new members, Chuck & Amy Grbcich! We hope to see you, and all our new members, soon! March 28, 2013: Boone Trail Corvette Club welcomes another new member, Kevin Teckenbrock. Glad to have you, Kevin! March 5, 2013: Boone Trail Corvette Club again welcomes new members, Teri & Allan Spector! We're happy you joined us! We look forward to seeing all our new members at upcoming events. March 2, 2013: Boone Trail Corvette Club would like to welcome its latest members, Gale & Joan Adams! They have an Inferno Orange Grand Sport. Thanks for joining! February 18, 2013: After just a few short weeks, a number of members have purchased or are in the process of purchasing new cars form our sponsor, Lou Fusz Chevrolet. Many thanks to all of you - the staff at Fusz are thrilled with the response they've received! And they are especially excited about the deposit placed to secure purchase of their very first 2014 Corvette Stingray - by BTCC member and webmaster Vince Gabrunas (shameless plug, I know)! More will follow on this as new info is made available. Look for a future Member's Project article in the fall! February 6, 2013: Ken Brinton won top honors at the chili cook-off. He says it took him 5 trips through the Steak'n'Shake drive-thru to collect enough! Coming in second was Susan Williams, and Lon Friesenborg garnered third (or should that be garnished?). Some rumors float about that at least two members have initiated the process for obtaining 2014 Stingrays. Good luck! And in another rumor, a certain member who favors yellow Z06's let slip that the next one may NOT be said color! December 31, 2012: Member Ron Krato's mother passed away on the 28th. Visitation is January 2 4pm-8pm at Bucholz Funeral Home, 1645 Redmond Rd., St. Louis MO 63138. The memorial service will be January 3 at 1:30pm at the same place. Our thoughts are with you and your family, Ron! December 21, 2012: 6 Corvettes and 2 steel cars caravanned to Children's Miracle Network offices downtown to delivery our toy donation for this year. 3 Corvettes and 1 steel then went on to Children's Hospital to delivery the toys in the company of Santa and Bearamy (the Build-a-Bear mascot). Santa traded his 8 reindeer for 430 horses with Don Wooten driving, Bearamy rode with Jeff Craig, and Vince Gabrunas escorted Bearamy's helper. Neal McInyre carried overflow toys that wouldn't fit on the fire truck. See Event Media for photos. Thanks to Debbie Doak for coordinating this event, and let's make it even bigger next year! December 9, 2012: Congratulations to this year's award winners: Sponsor's Award: Jeff Craig, President's Award: Bob Williams, Governor's Award: Larry Walker, 100%: Lon Friesenborg, Ron Reinhardt, Neal MacIntylre, Vince Gabrunas and special honor to Debbie Marler. A special recognition was presented to founding member, Ron Reinhardt for his roll in beginning Boone Trail Corvette Club in 1972, and who has not missed a single meeting in 40 Years! Additional recognition went out to the 2012 officers, and several other long-time members. November 22, 2012: Larry Walker has his '79 pictured on page 26 of the Summer 2012 issue of Blue Bars, as part of the Convention 2012 coverage. Good show, Larry! October 8, 2012: And more members have new Corvettes! Congratulations to Ron & Cheryl Krato on the purchase of their 2012 Crystal Red Grand Sport Coupe, and to Larry & Brenda Walton for the purchase of their 2012 Torch Red Grand Sport Coupe! September 28, 2012: BTCC has grown some more! We welcome the following new members: Joe Maloney, Melissa & Terry Dean, Rick Green and Pamela Freed. Thanks for joining us! September 17, 2012: Bandana's Charity Corvette show update: the official tally is in - we collected a total of $3047.53 for Children's Miracle Network, with 81 Corvettes registered, and 80 showing, making this our largest and most generous show yet! Thanks to everyone who contributed awards, prizes, money & time - we couldn't have done it without all of you! Also, several members won awards & door prizes at the AmVets charity car show. 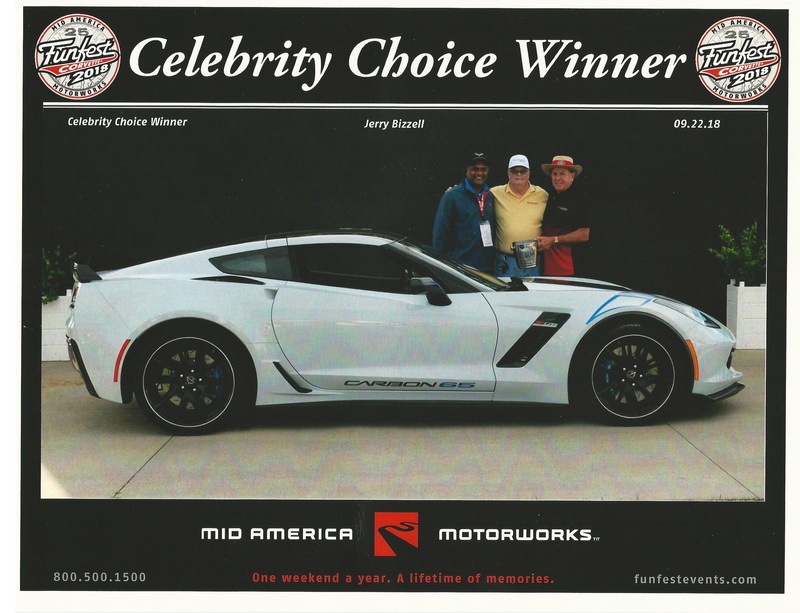 Bryce Patterson and Marty Hodits both won Celebrity Choice awards at this year's MidAmerica Motorworks Corvette Funfest. Congratulations everyone! Finally, today Bob & Susan Williams took delivery of their 2013 Grand Sport coupe at the National Corvette Museum. We can't wait to see it! Click HERE for a peek at it in the Museum lobby! September 7, 2012: President Bob Williams recently had the opportunity to bring his 2013 Grand Sport into the world! While he has yet to take delivery, he is very excited! A full story of the experience is coming in a few weeks to Member Projects. August 26, 2012: Our big show at Bandana's has now passed, and congratulations to all the winners, but in the show and the various raffles! It was also good to see member Gene Marler out and about and in good spirits at the show after his surgery last week. August 19, 2012: Member Gene Marler will be undergoing neck surgery on Monday to alleviate several nerve-related issues. Please keep him in your thoughts, and here's to a quick recovery! August 16, 2012: Our deepest sympathies go out to Gary Collins, whose mother passed away earlier this week. Please keep him and his family in your thoughts. August 10, 2012: The rumors have been confirmed! Three new Corvettes have joined the ranks: Steve & Debbie Doak now have a 2011 Torch Red Grand Sport convertible, David & Patti Hall now have the Doaks' 2008 Torch Red convertible, and Vince Gabrunas has added a 2002 Electron Blue Coupe to his collection! Congratulations to all of you, and we want to see these cars at events soon! August 5, 2012: Several member of BTCC participated in the Mark Twain Corvette Show in Hannibal this weekend. Marty Hodits won 2nd place in the C6 class, and Gene Marler won 2nd in the C4 class with Deb's '89. Congratulations to both of you! July 29, 2012: Rumor has several members have new cars - congratulations all of you! We hope to see the new rides soon! July 12, 2012: A big welcome to new members, Don Jr. & Peggy Van! we're glad you've joined us and hope to see you at many events! Also, congratulations to Nancy Gowin for her recent purchase of a 2009 Convertible! We hope you enjoy it for many years to come! June 4, 2012: Kay Bedwell is still experiencing complications related to her emergency surgery two weeks ago, and may require additional surgery. Please keep her speedy recovery in your thoughts. Don Forden won Best in Class at this year's Memorial Day Car Show hosted by Fast Lane Cars. Congratulations, Don! May 28, 2012: Attention all members! We would like every current member to join the club's Yahoo Group. This will offer the officers an easier method of contacting you in the event of changes such as meeting venue, weather postponements or any other urgent news that could affect your enjoyment of any of our events. It's free to join, and once joined you need do nothing else - though we're always happy to hear from you! There is a direct link on the Forms page to get the process started. Thanks! May 13, 2012: Kay Bedwell is recovering from her emergency surgery, and has made it out to a couple of recent events. Susan Williams is also out and about after her foot surgery, and Bob Gale is progressing nicely in his knee injury recovery. Here's to continued smooth recoveries! We had a special guest attend our May meeting: Brett Kavandjian, a college student from France who is attending classes in Cape Girardeau. Welcome, Brett! We hope to see you again in the future! His photo is in the May Meeting Gallery. April 22, 2012: Member Kay Bedwell has undergone emergency bowel surgeries this weekend. Our thoughts are with her and Ray. Also, member Susan Williams underwent foot surgery this past week and is healing nicely. And member Bob Gale recently underwent knee surgery following a mishap while clowning around at the Shrine Circus. While his recovery is slow, he is making progress and has been to a couple of recent events. Get well soon, all of you! March 25, 2012: Welcome to new member Jim Lindberg and his 2003 Pewter Z06! Bob Stelloh has a new addition in the stable, a 2007 Lemans Blue Convertible. Congrats, Bob! February 5, 2012: It is with a heavy heart I report the passing of member Debbie Marler. She suffered a fatal heart attack this past Friday evening. Visitation is Monday, February 6 from 4pm to 8pm and the funeral is Tuesday, February 7 at 10am. Both are at Baue Funeral Home at 620 Jefferson in St. Charles, MO. We ask as many members as possible to bring their Corvettes Tuesday in her honor. Our thoughts and prayers go out to her family. Members, this is your page! Let others know about upcoming projects, personal achievements, charity contributions, etc. Please submit your news bit, photos, videos and so forth to Webmaster for posting! Here's a little challenge: click the photo link above for some images taken in 1977 at a Boone Trail Corvette Club autocross. Try and name as many members as you can!